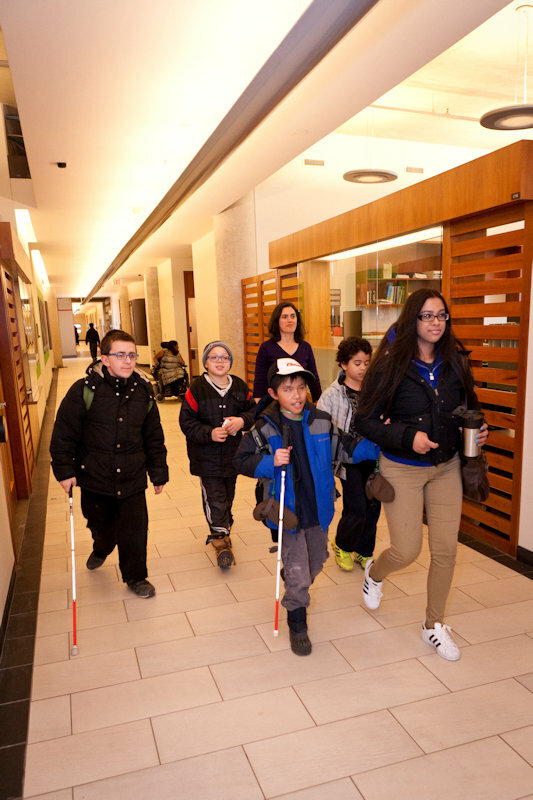 The CNIB Foundation camp kids with canes leaving the office walking down the corridor. The technical requirements within this section are derived from a number of sources including the National Building Code of Canada, CAN/CSA B651 Accessible design for the built environment, ISO/FDIS 21542 Building Construction – Accessibility and usability of the built environment and ISO 23599 – Assistive products for blind and vision-impaired persons – Tactile walking surface indicators. Please refer to these documents for more complete technical requirements.